In the Market for Columbus, OH Real Estate? 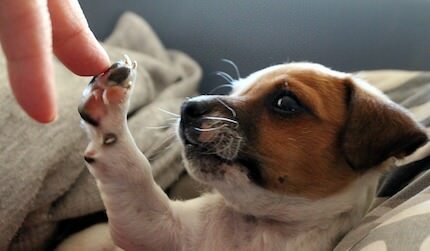 Consider the High Five! Columbus, OH real estate can be tough to navigate, especially if you’re not familiar with the area. Where do you start looking? And how do you find the location that will appeal to the customers you’re targeting? If you’re considering opening a business in the Columbus region, take a look at the High Five! What is the High Five in Columbus? In 2010, a grassroots collaboration between districts and neighborhoods along High Street unveiled the “High Five” marketing campaign. The High Five moniker was intended to nationally propel the destinations and experiences found along the urban High Street corridor. While the name didn’t end up sticking, this is still a prime area for businesses looking to invest in Columbus, OH real estate. It consisted of a five-mile stretch of road along High Street that connects the five most popular districts in the city. Those five districts are University District, The Short North, The Arena District, Downtown, and German Village. And there is always something to do here, whether you’re dining at one of over 150 restaurants, enjoying the nightlife, attending concerts or sporting events, visiting art galleries, or shopping at over 200 stores. First, there is the University District. This district is near Ohio State University, and as a result, has a college-town atmosphere. Of all the possible options for commercial real estate in Columbus, Ohio, this is probably the most vibrant neighborhood you could choose. From concerts to sporting events, festivals, and exciting nightlife, Millennials and Gen Xers flock to the University District. The Short North is the art district of Columbus, OH. Real estate here usually appeals to more sophisticated crowds. Although, that’s not to say that the Short North doesn’t also have its Bohemian flair. And the iconic arches that line the street are the reason why Columbus is also known as the Arch City. The Arena District is focused mostly around Nationwide Arena and Huntington Park, home of the Blue Jackets and the Clippers, respectively. This tends to be a quieter area; it’s a more down-home feel than the previous two districts. Next is Downtown Columbus, home of the Ohio Statehouse. Here you will find a diverse mix of businesses, from the headquarters of major corporations to local shops that have been there for years. There are also a number of parks, such as Columbus Commons and the Scioto Mile. Finally, there is German Village, a historic neighborhood just south of Downtown that has a small town feel. This is an area that has worked very hard to keep up their image and a sense of their history. You’ll find a variety of businesses like the Thurman Café and The Book Loft, which is one of the nation’s largest independent bookstores. Of course, there are other areas in Columbus, Ohio to consider; however, one of these districts can be a great option due to the various demographics of people you will find. Given the diversity, you should be able to determine a location that best suits your business. Contact Columbus, OH real estate firm, The Robert Weiler Company, to help you navigate the area and find your ideal commercial property: 614-221-4286.